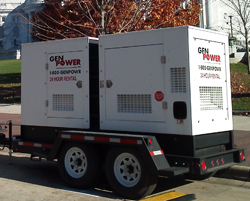 When more power is needed, Gen Power’s 500kW enclosed generator system powers the most demanding tasks you have. 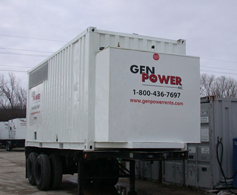 This powerful generator has a hospital grade exhaust silencer. 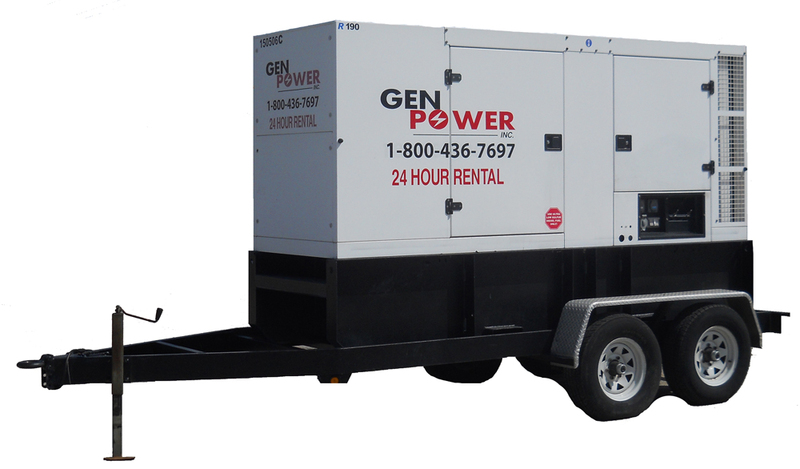 At full load is this generator is rated at 78.4 dbA at 7 meters, which is about as loud as your average lawn mower. Three Phase – 208, 480 V.
2000 amp three phase main circuit breaker, with adjustable LSI trip. 600 gallon double wall U.L. 142 fuel supply tank. Floor mounted spill container pan. Bus bar connections in breaker panel, for AC wiring / (2) 120V/20 amp for Shore Power. Container access port hole for the feeder cables. Towable by 5th wheel attachment.